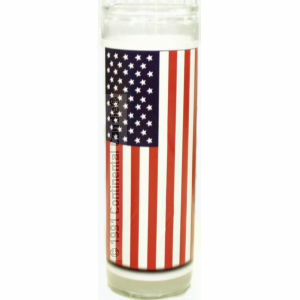 Show your patriotism for the Greatest Nation in the World with Continental Candle®'s God Bless America Candle. An attractive, high quality, twelve inch candle manufactured in the United States. The back of each candle contains the words of the song "God Bless America". A great way to decorate your home or office. For special events, to honor our nation's heroes, or for mood lighting. Keep plenty on hand for patriotic holidays, such as Memorial Day and Fourth of July.